We're back with another SneakHer Assembly discussing a silhouette that's fitting for the cooler temperatures. If you're new to CNK's SneakHer Assembly, it is a series where the editors of the round sneakHER table come together to give our candid thoughts on what we like or dislike about a pair. Basically, we are spilling the tea on how we really feel. This next pair is defintely bold. A conversation starter. The all female Nike design team that introduced us to the Reimagined Collection had the sneakHER street buzzing with the unique designs inspired by classic pairs. 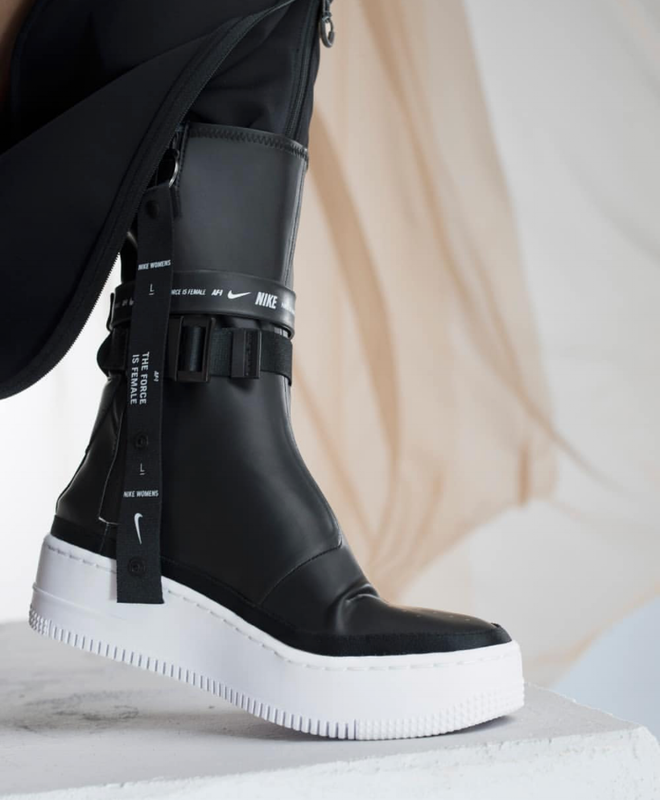 The lineage of Reimagined kicks continues with the upcoming release of the WMNS Air Force 1 Sage High boot. Let's discuss, shall we? On the black pair... This is a very, very interesting shoe. 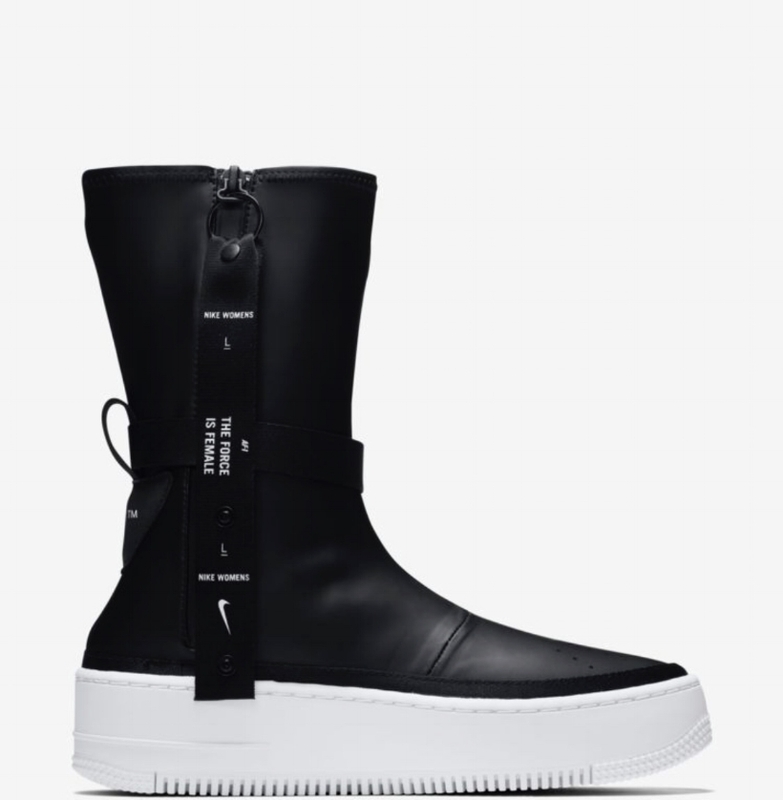 It reminds me of those Hunter rain boots that people used to wear with an Air Force 1 sole. 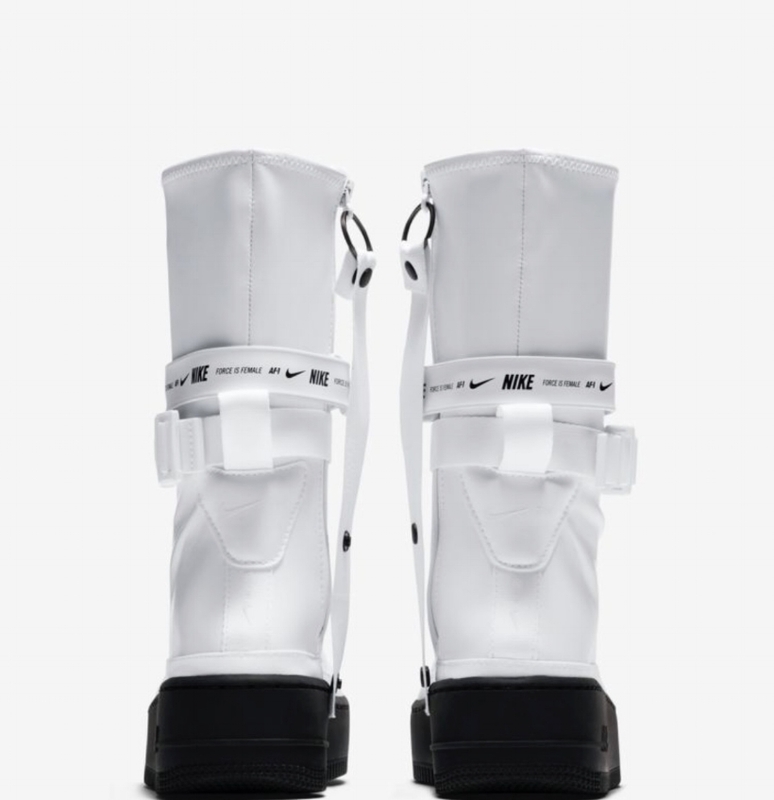 However, the shape of these seem like they would form to your calf and not stick out like most rain boots do. I don’t hate them and I don’t love them but they are really interesting to me. I think because they look so different I am really intrigued by them. I am a fan of the detailing on this silhouette overall, the back of the shoe with the straps and buckle and branding is pretty dope to me. I’m kind of sold on them even though I would wonder how they would fit into my daily life. I live in Chicago so we have snow so how well would these do in that type of weather? On the black pair... At first look it was an easy pass for me. I needed some time to process the body of the sneaker along with the details. It feels like a melting pot of minimalism, modern, and futuristic with a sprinkle of subtle utility given the straps. I like the Swoosh detailing that isn't overdone, but I'm still up in the air on how I would personally rock this pair. Seeing them on foot does peak my interest. On the white pair... I prefer the black pair to this one just because I feel like you can get away with wearing them with more. The white however is just as striking if not more than the black. I’m still a fan but you’re going to have to bring some real style with these and I can see some neon or some jogging suits happening. Similar to how I’ve seen the Prada sneakers style recently. Again though, I don’t hate them or love them, I just think they are visually interesting. On the white pair... 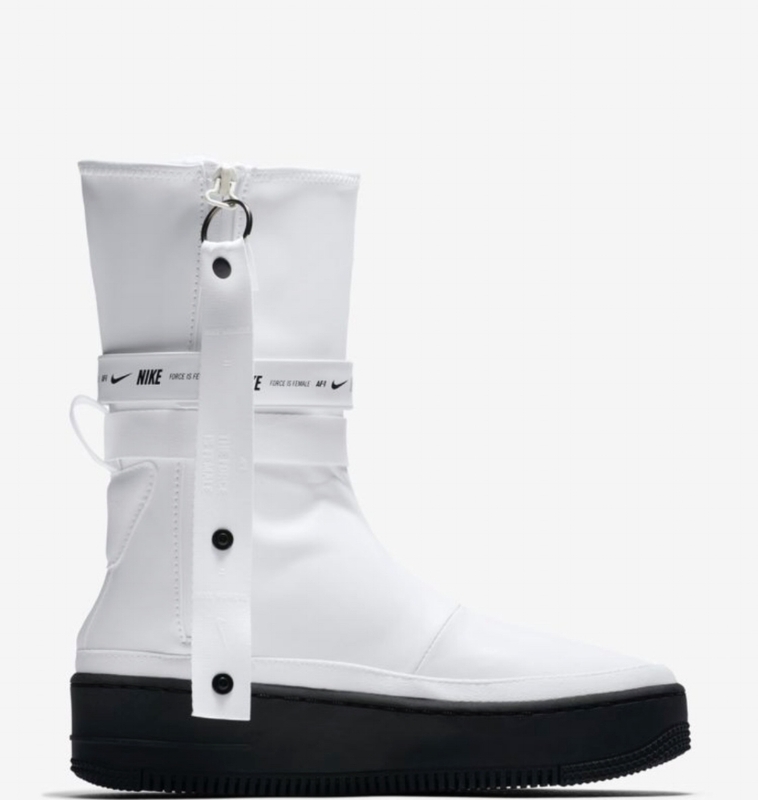 Unfortunately, I am not a huge fan of the white sneaker boot. It may because I am pretty short and have stubby legs that wouldn't be complimented by white boots that go up my calf. Or it could be that I don't prefer to wear white 'boots' period. Both pairs do look comfortable with the platform midsole. I do feel that ladies will be able to rock both of these with winter trench coats and make them look stylish. For me, I will have to admire from afar. What’s your verdict? If you’re feeling either pair, you can SHOP THE SNEAKS below on 11/29. The price tag will run you about $180 USD, and we are anxious to see how you rock a pair. Tag us on Instagram, so we can admire your unique #SneakHERstyle !